Not just for years, decades or centuries, but for millennia, humans have been devoted to their dogs. From tiny chihuahuas to giant Newfoundlands, dogs complete our lives as few others can. 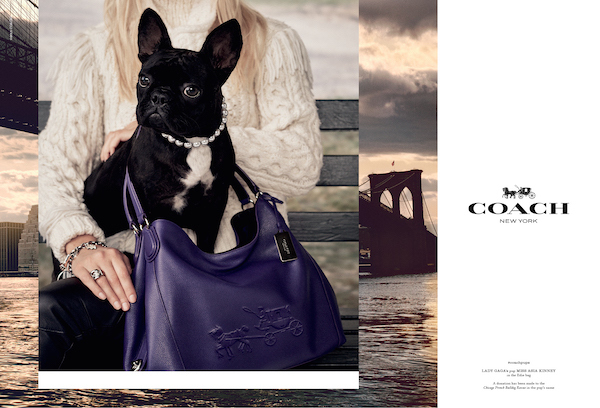 And Coach is capturing our canine affections with their engaging new Coach Pups campaign. In a series of pet portraits by famed photographer Steven Meisel, the fall 2015 campaign launches this month starring Miss Asia Kinney, the adorable French Bulldog companion to Lady Gaga. and Harry Heissmann and his beloved Samson. 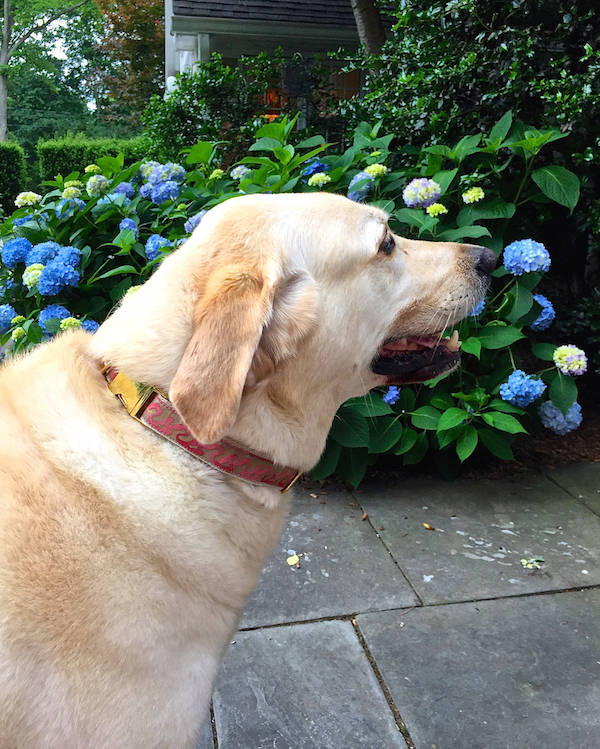 And for those of you looking for a special (and functional) way to celebrate your dog’s unique style, I can recommend my friend Rebecca Vizard‘s fabulous Canine Couture Fortuny dog collars. Lest you think that sounds a tad too precious, let me assure you that they are beautifully made, hardwearing and surprisingly resistant to the elements (but washable if your pup is particularly messy). And most importantly, they are (my) Charlie approved! While you’re perusing Becky’s offerings for your best four-legged friend, be sure to check out her exquisite antique pillows and accessories – she is an equal opportunity artisan – dogs and humans alike. This entry posted in fashion, gifts. 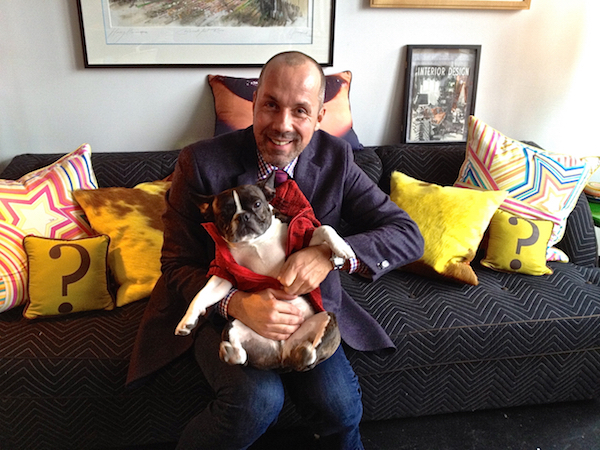 Entry Tags: canine couture, Coach bags, Coach Pups, dogs, fashion Bookmark the permalink. A well deserved tribute! I lost my Hudson about a month ago and am so grateful for the 111/2 years together and the love and joy he continues to bless me with every day. Stacey I just adore the dog videos and feature; so very special!! 82 queries in 1.135 seconds.